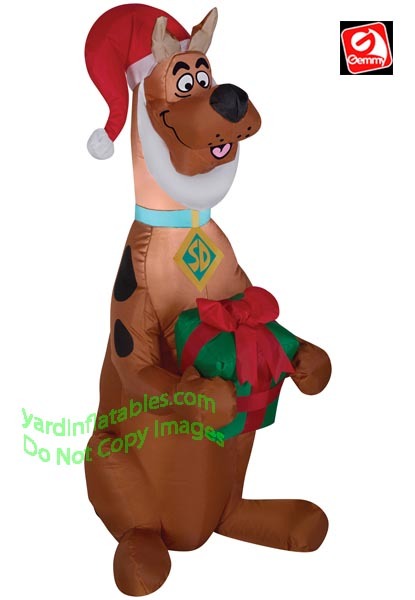 Scooby Doo Wearing a Santa Hat Holding A Present! Zoiks! It's Scooby, and he's wearing his Santa hat! With this Airblown® you get a complete outdoor scene in seconds -- all with the greatest of ease! 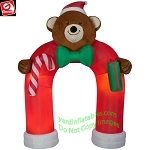 This Gemmy Air Blown Inflatable Christmas Decoration comes with a Gemmy proven, high quality low voltage fan, internal lights to create a glowing night-time display, yard stakes, stand and tethers.